Are you ready for the Gold standard in online fitness programs? 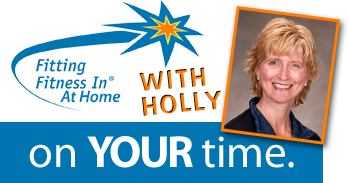 If you would like a little more time with expert trainer Holly Kouvo, then it is time to get set up on her Gold Plan. Holly’s Gold Plan is a monthly online program with some remote personal coaching mixed in. It’s the perfect mix of a custom-designed workout program and a little bit of accountability. After an initial sign up, Holly then begins the process of designing your own personal fitness program. Your program is tailored just for you and it’s available on her mobile app and her online portal. Use it anytime, day or night. Whatever fits into your busy schedule. Holly’s Gold online fitness plan is one of the more popular because with custom workouts and delicious recipes, you also get time each month to chat with Holly and get motivation, inspiration and advice on how to maximize your fitness program. Each month, you get a chance to chat with Holly either by phone or video chat. Use the time however you need. Chat about your progress, what’s holding you back or maybe you need some advice on what to eat before you hit that company party. 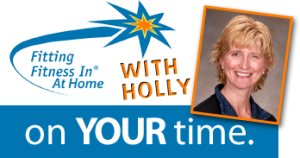 It’s your time with Holly. Every month, Holly creates a custom workout just for you, based on your goals and fitness targets. She may mix up strength training workouts and cardio routines to get you moving, building muscle and getting your health and fitness house in order. Changing your workout prevents you and your muscles from getting bored with the same exercise routine and helps create progress and results. All your workouts are accessible online or in the mobile app. Each week you take part in the Gold Fitness Plan you’ll receive Holly’s inspirational emails packed with the information and advice you need to stay on track. 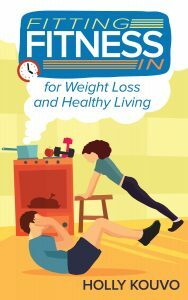 In her emails, you’ll get the latest health and fitness articles tailored to your specific goals and you’ll get healthy recipes to keep your kitchen interesting during your fitness journey. You can fit fitness in and with Holly and her programs, you’ll have the tools and the know-how to meet your fitness and lifestyle goals. Lets get going! The monthly cost of At Home – Gold is $159.